you will see the new colorizer I have developed. 1. It uses materials which are actual pictures of Icarex material. The pictures could be better, I haven't had time to get some really nice ones. All help will be appreciated. 3. It provides different backgrounds to check how the kite looks against them. 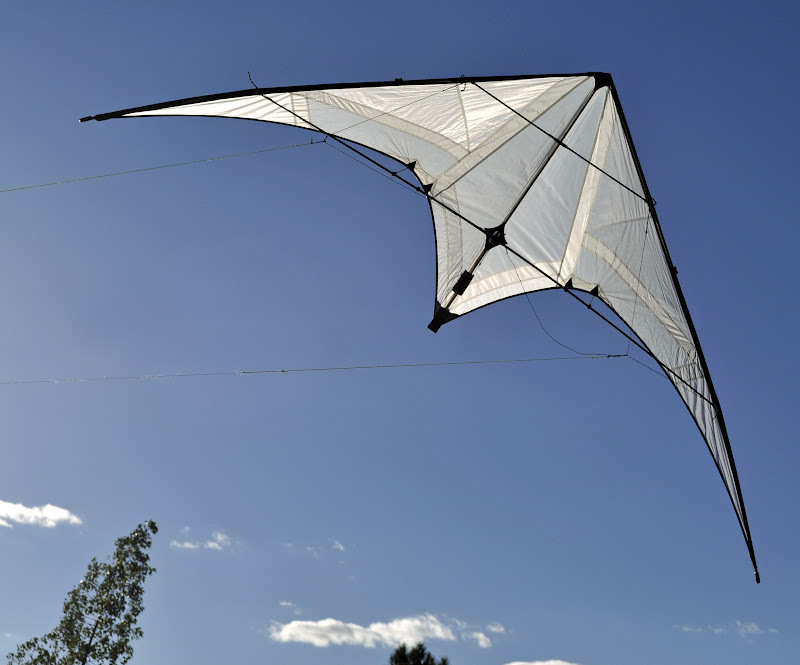 The kite has a slight translucency that integrates it to the background. b. have the kite panel layout where frame is black, background is white. If anyone likes it, I am making it available for free under Creative Commons Attribution Non-Commercial Share Alike (CC BY-NC-SA). Any suggestions will be very welcome, although I have spent four days on it and now I will not have much time for it for a few weeks. If we all collaborate to have nice scans/pictures of the different materials available for kite sails I'm sure this will look even better. So there it is for all the community. You did all the work so I don't see where the dedication is warranted. But it is appreciated. Thanks. Now I have another place to waste hours playing with a colorizer. In any case, the work is not finished at all. I was hoping that you, being one of the best kite photographers and collectors, would help me in getting the nicest materials pictures for the colorizer. We need as many as we can. For example we could have a front-lit set and a back-lit set and I could incorporate this option in the menu of the colorizer. We can all also contribute with more (or different) backgrounds. All these images need only be in PNG format at 600x300 pixels. They can be directly substituted for those I'm using now and they would start working immediately. Also, I haven't tried the possibility of using transparent materials such as mylar. Hence, there are still things to experiment with. Finally, we must make a template for each kite. Would'n it be nice to have them all in there? So I really think I have only provided the platform and the rest of the community can make it better and better. While I applaud your effort, my contribution will be down to saying that you can use any of my photos toward the colorizer you would like, as long as it is non-profit. I also applaud you for having a 3rd language. I have enough trouble saying the right thing in my 1 language. Nice work Ara. I'll see what I Can do about getting good closeups of the colors and mats in my kites. It is indeed beautiful and hard to capture all this diversity. We could fake it a little by giving a few levels of randomized transparency or extra brightness (by program I mean). But of course it will never be the same. I'm not trying to be photorealistic to the limit or in a naive way. I just want to have a better way of imagining the final result. Thanks for your offer of using your pictures. The thing is we need then to tile the parts we use to achieve a (more or less) continuous image of 600x300. The scale of the squares in the ripstop must be correct to the scale of the kite, hence we cannot get a 600x300pixels image out of one single piece of already cut and sewn kite sail. Anyway, Ca Ike has joined the quest. THANKS! And I guess others will join in too. It is easy if you start as a kid. And it surely gets harder as you grow up. In society I learnt Spanish (also almost since I was born). 1. Many more materials thanks to the collaboration of HiFly and includding my addition of mylar.